To boost slowdown-hit real estate sector, the government today announced infrastructure status to affordable housing to encourage investment in this segment and offered tax sops for developers sitting on completed unsold inventories. The National Housing Bank will refinance individual housing loans of about Rs 20,000 crore in 2017-18. To promote affordable homes, the government also proposed to amend the Section 80-IBA, relaxing the condition of period of completion of the project for claiming deduction from the current three years to 5 years. "We propose to facilitate higher investment in affordable housing. Affordable housing will now be given infrastructure status, which will enable these projects to avail the associated benefits," Finance Minister Arun Jaitley said. With surplus liquidity created by demonetisation, he said the banks have already started reducing their lending rates, including those for housing. Interest subvention for housing loans has also been announced by the Prime Minister. Stating that affordable housing is one of the thrust area of tax proposals, he said: "In my budget proposals last year, I had announced a scheme for profit-linked income tax exemption for promoters of affordable housing scheme which has received a very good response." To make this scheme more attractive, Jaitley proposed certain changes in the scheme. "First of all, instead of built up area of 30 and 60 sq meter, the carpet area of 30 and 60 sq meter will be counted". Moreover, Jaitley said that the 30 sq meter limit will apply only in case of municipal limits of four metropolitan cities while for the rest of the country, including in the peripheral areas of metros, limit of 60 sq meter will apply. In order to be eligible, the scheme was to be completed in 3 years after commencement, he said, and proposed to extend this period to 5 years. 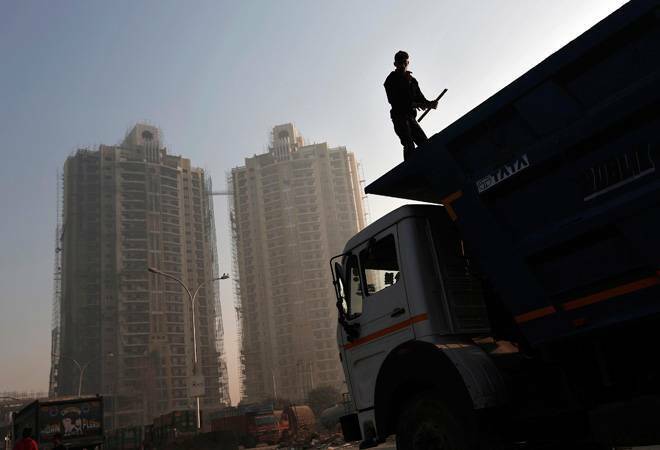 The government also announced tax sops for builders sitting on a huge unsold stocks amid multi-year slowdown in the real estate sector, particularly housing segment. "At present, the houses which are unoccupied after getting completion certificates are subjected to tax on notional rental income. For builders for whom constructed buildings are stock-in-trade, I propose to apply this rule only after one year of the end of the year in which completion certificate is received so that they get some breathing time for liquidating their inventory," Jaitley said. The Finance minister also proposed to make a number of changes in the capital gain taxation provisions in respect of land and building. "The holding period for considering gain from immovable property to be long term is 3 years now. This is proposed to be reduced to 2 years. Also, the base year for indexation is proposed to be shifted from April 1, 1981 to April 1, 2001 for all classes of assets including immovable property," he said.